This month, the skies favor the early riser. As Saturn slips toward the western horizon in our evening skies, Jupiter, Venus, and Mars take center stage throughout October in the skies before dawn. If you are someone who prefers to rise early, you are in luck. 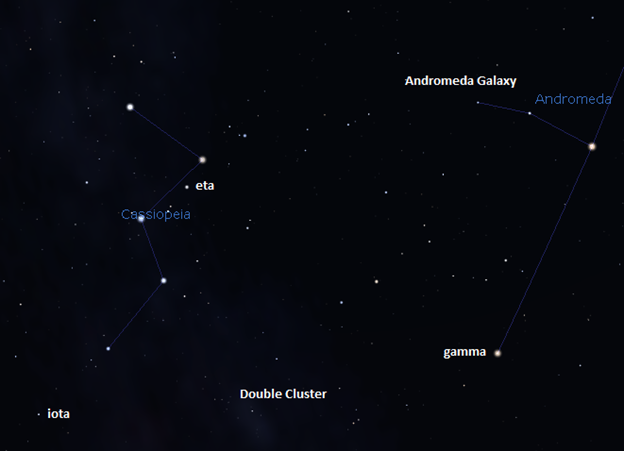 If you’re someone who tends to sleep in, set your alarm and treat yourself to a view of these bright objects at least a few times this month to see the steps in the eastern sky. I’ll give you a breakdown of the performance so you know what particular dates to watch for. 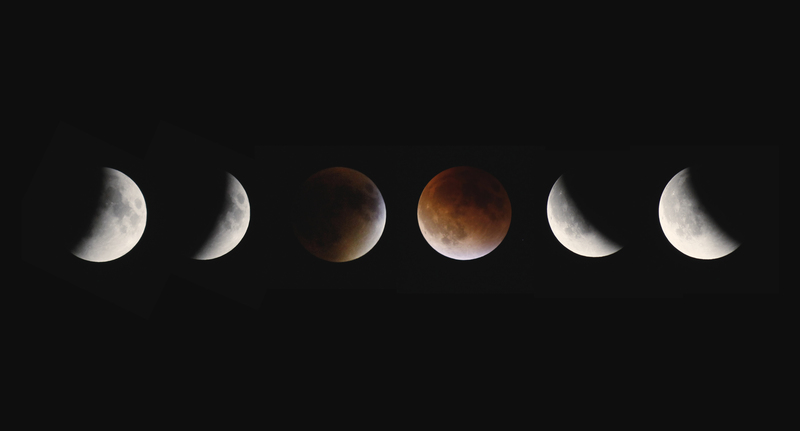 Time-lapse of the lunar eclipse taken by ONU student Nick Rasmussen. Now that the Moon is past full, it’s slipped from the evening skies and does not rise until after midnight. Its display isn’t over though, as it moves to the morning sky to join the planets before daybreak as a slender crescent. And that’s the first movement of this act you should catch these October mornings: set your alarm and rise before dawn on either Thursday, the 8th, or Friday, the 9th (or both). If the sky is clear, you’ll see three bright planets strung out in a line pointing down toward the eastern horizon. The highest and brightest of these is Venus, which rises at about 3 AM and is high in the eastern sky before sunrise. Mars trails it to the east, and below them both is bright Jupiter. On the morning of the 8th, a thin crescent Moon rides just above Venus. By the next morning the Moon has dropped to join Mars and Jupiter as an even thinner crescent lower in the east. The slanted line of the three planets in the morning sky is a powerful illustration of the disk of our solar system, viewed from our tilted angle on the planet Earth. 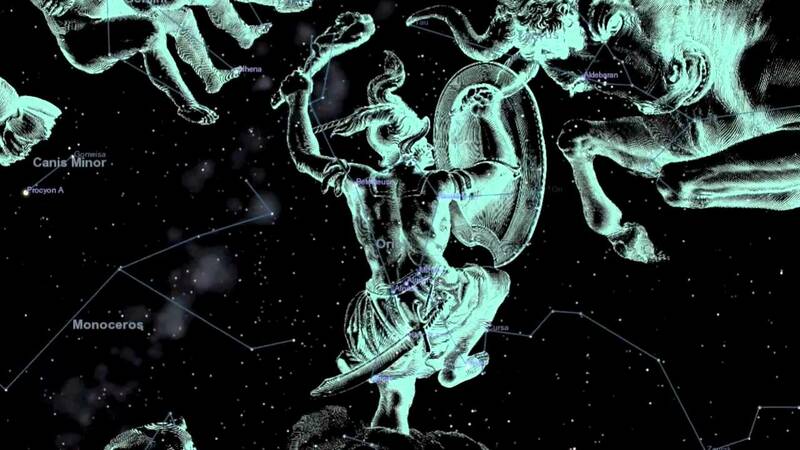 Moving forward through the month, Venus falls eastward against the background stars each month, while Jupiter and Mars rise farther into the west. Jupiter passes by Mars on the morning of Saturday, the 17th, for the closest conjunction of this planetary arrangement. The bright giant planet passes within half a degree of the ruddy red planet. That’s about the diameter of a full Moon. At that distance, both planets could be visible in the same field of view through a telescope eyepiece. It’s that ruddy red planet on which NASA scientists last month found the best evidence yet of running water on its surface. They studied the composition of dark tracts on Martian hillsides that change with the seasons and concluded these formed by briny water seeping out and staining the Martian surface. Finally, as Venus continues its eastward motion against the background stars, it passes by Jupiter on the morning of Sunday, the 25th. Though the two planets are within a degree of each other (twice the diameter of a full Moon), this may be the most conspicuous conjunction of the month, as Jupiter and Venus are the two brightest planets in the sky. On the morning of the 25th and the following morning, they’ll form a brilliant pair with Mars trailing below them to the east. Of course, their apparent closeness is only an illusion in our sky, the same way the light from a nearby lighthouse might appear close to a ship passing along the horizon. It’s only a matter of perspective. 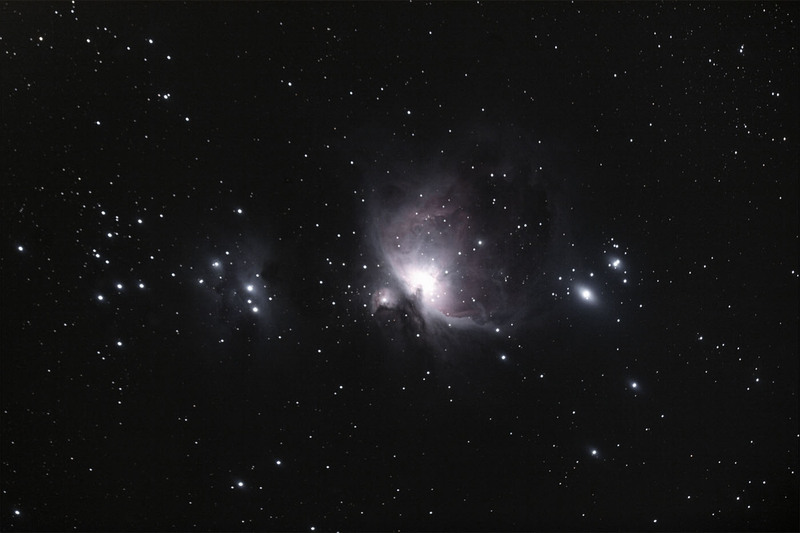 In reality, millions of miles of empty space separate those bright lights in the night. 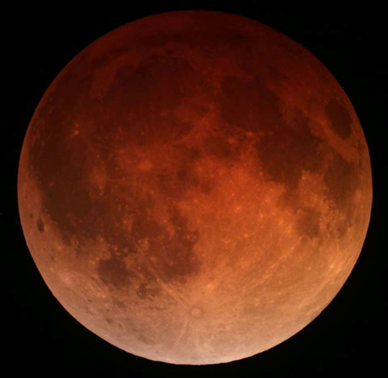 This entry was posted in Writings and tagged astronomy, column, Kankakee Daily Journal, lunar eclipse, night sky, observing on October 17, 2015 by boldsaintcroix.